G59 – Use an easy to read font family. Use an easy to read font family. 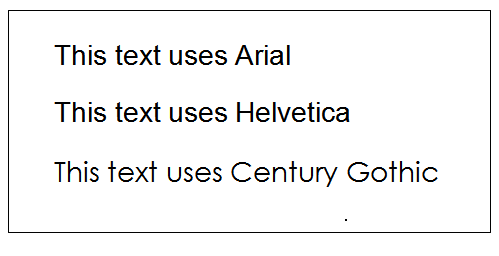 The use of sans serif fonts, such as, Arial Helvetica Century Gothic, facilitates reading texts on the screen. Decorative or script font types are harder to read due to this factor their use should be avoid. Examples of font families easy to read. Elderly, Font Type, Large Elements, Layout, Text.